Reclaiming debt is not easy; a lot of business owners don’t like to ‘harass’ their clients. We understand through years of client experience, how it feels to run a business and the hardships that are attached to it. We like to think of it as bringing both parties to the table and mediating to an agreed closure. It feels like the media are announcing the loss of a UK big name brand every week. Both small and big business are being affected and what many of us probably consider to be ‘untouchable’ businesses are equally having financial worries of all types. Although most businesses don’t collapse due to debt alone, it is a major contributing factor, making it difficult to manage the cash flow of a modern living and breathing business. With the large enterprises out there suffering, it’s natural for the owners and leaders of smaller businesses to worry about the future too. Whilst no doubt you are concentrating on the delivery of your business services or products, it’s easy to take your eye away from the cash flow and the need to chase your customers for payment. Unfortunately business debt is quick to gain momentum, and harder to turn around quickly before everything crashes down around you. So what can you do about it? Planning for the unknown isn’t easy however, it is beneficial to put a plan in place that, in the scenario that your business runs into financial trouble, will help to prevent you from running deep into the red and having to tackle mountains of difficult to recover deb. 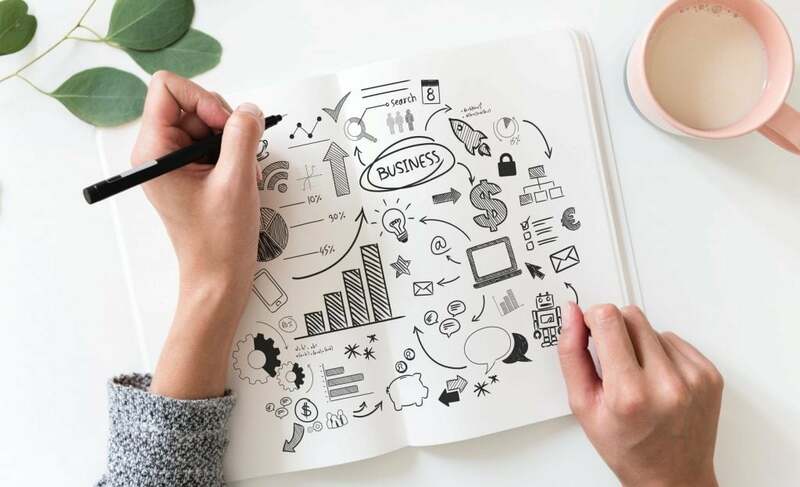 We would advise that, before even developing a backup plan, a key priority should be for you to update the business’ payment procedures and credit control, as this helps to avoid late payments from the off. This being one of the main reasons that we at Daniels Silverman have identified as to why businesses experience cash flow issues which leads to debt. Credit control is essential, whether you are responsible for a big or small business, and is why we offer a white label credit control service. This means that we act on behalf of your business to contact your customers and to notify them of missed payments that are due. When we partner with you, the first thing we will do is understand your payment process and investigate the companies you’re working with to ensure, first and foremost, that we are dealing with the correct contact. Initially, on day one of an invoice being raised, we’ll make contact with your customers to confirm receipt. We ascertain whether there is any dispute on the invoice and check when they plan to pay you, following up with emails and phone calls. We would do our absolute best to prevent late payment of invoices by being proactive from the date of issue. If necessary, further action will be taken, but we do everything in our power to avoid further proceedings. As we chase invoices individually, we can minimise the risk of mass disputes clogging up your cash flow. Debt collection as well as credit control and credit checking is essential. Our partner Creditsafe found that over half of UK SMEs are having to wait 30 days or more for invoices to be paid. Furthermore, a recent Creditsafe report found that the national average DBT (days beyond terms) was 10.5 days. Reclaiming debt is not easy; a lot of business owners don’t like to ‘harass’ their clients. We understand through years of client experience, how it feels to run a business and the hardships that are attached to it. We like to think of it as bringing both parties to the table and mediating to an agreed closure. When collecting debt, we opt to do it in a human, ethical way to the best of our ability. This way you get the results you need and also maintain a working relationship with your customers. We strive to provide a solution that is as fair as possible for all parties. We don’t follow a ‘one size fits all’ mantra – because that’s not how businesses and people work. If you need help with your business cash flow and avoiding debt, get in touch on 0800 953 3631 or visit https://www.Danielssilverman.co.uk and click on the chat pop-up to speak to our business development team.